For up-to-date events, check the NC NOW facebook page. Facebook does events very well! Also, check local chapter pages. The Senate Confirmation Hearings for Judge Brett Kavanaugh begin on 9/4/18. Protests are planned around the state this week, many on Tuesday, September 4th. Hope you can go to one or more of them. Also, write your US Senators – Burr and Tillis. This tells you where the rallies are and how to reach your senators. WED events are captured on the NC NOW website, and also on the front page of a few newspapers this year! #SaveRoe and #SaveScotus events around NC in August, 2018. Six town halls with themes of #SaveScotus and #SaveRoe were planned around NC, and five of them were done in August, 2018. Read more about the town halls here and here. 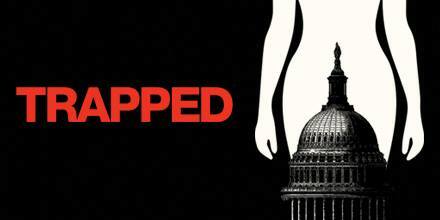 Please join us for a screening and panel discussion of Dawn Porter’s documentary Trapped on Thursday, July 26, 2018, in Raleigh. Trapped documents the dangerous effects TRAP laws (Targeted Regulation of Abortion Providers) have on people seeking an abortion and the medically unnecessary restrictions they place on abortion providers. Following the screening, there will be a panel discussion, as well as an opportunity for attendees to take action to defend reproductive rights. 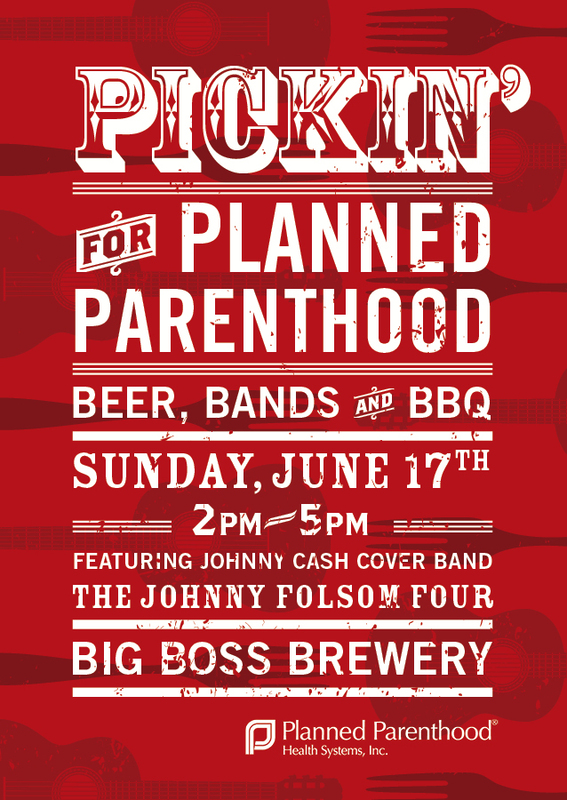 Please join us to advocate for access to safe and medically accurate reproductive healthcare. Details and link to facebook event at Trapped Documentary Screening and Panel Discussion, 7/26/18. As of May 30, 2018, 37 of 38 states have ratified the Equal Rights Amendment. NC’s ERA bills are still in play. Help us get them a hearing! Join us on 6/27/18, and right now – send an email or make two calls to move the bills along! Wear ERA green if you can. More information at Take Action to Ratify ERA in NC, 6/27/18. The Feminist 5k returns for 2018! This is a fun run/walk/renunciation of the patriarchy. Our favorite theme last year was Wonderwoman! Wonder what this year’s will be. Can’t wait! Join the National Organization for Women (NOW) for a five-day event in Washington, DC, culminating with a lobby day at the Capitol on April 26. 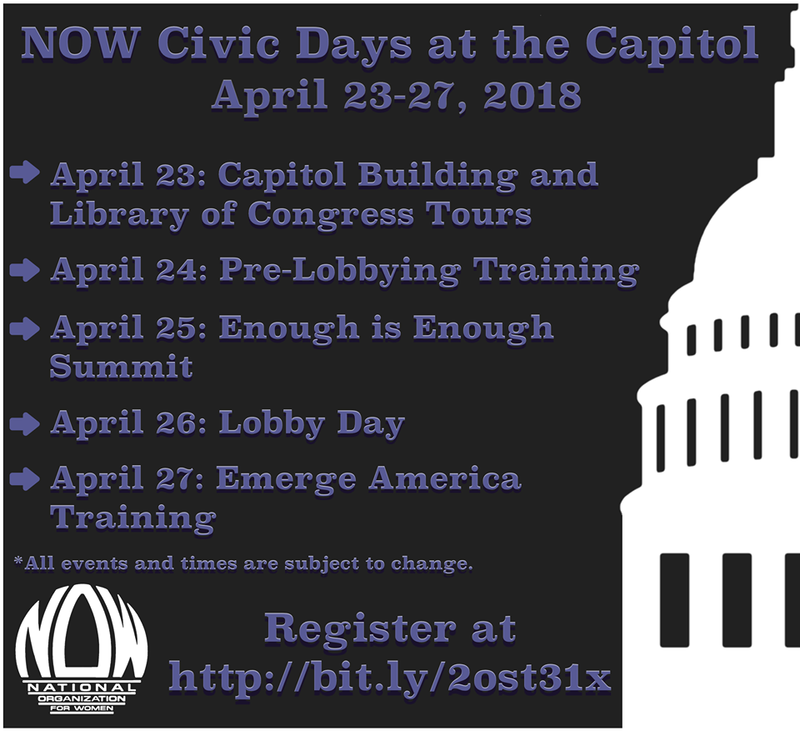 This year’s NOW Civic Days at the Capitol will take place around our Enough is Enough summit, focusing on concrete solutions to dismantle the toxic system of sexual abuse and harassment. NOW will provide training and materials to activists at our National Action Center on April 24, so they will be fully prepared to meet with their members of Congress. NOW activists will be lobbying on legislation regarding sexual assault and harassment, abortion and reproductive rights, and other pertinent bills moving through the Congress. Space for the Civic Days is limited. Please register today to reserve your spot. *All events and times are subject to change. NOW is providing Civic Days training and materials at no cost to our members. All food, transportation, rooming and personal charges are the responsibility of the member. Emerge Training to be confirmed. We are covering two of many women’s issues at the federal level. Reproductive Healthcare is under attack in America (via #HydeAmendment) and US policies threaten Reproductive Care in other countries (via the #GlobalGagRule). Tara Romano of Naral/Prochoice NC will cover #HydeAmendment, which continues to ban all federal funds, including Medicaid, from covering certain procedures in US. Amanda Murray of Population Connection will talk about the #GlobalGagRule which historically has hurt women in other countries as the US works to control what their organizations say and do. However, Trump made the global gag rule much worse than it had ever been previously. Join us to learn more! All of the showings of the documentary Equal Means Equal are women’s Equality events! There have been many, but here I will mention ones for August and September 2017. Women Rise Up March and Rally in Durham for Women’s Equality Day, 2017! The Hunting Ground documentary screening on Aug 8, 2017, in Raleigh, will be followed by discussion led by one of the main subjects in the film, Annie Clark. For more information on the film and event see “Learn about Campus Danger for Women, 8/8/17 at NCSU“. The facebook event is at https://www.facebook.com/events/435781543487421/. Organized by Young Feminist Committee of Fayetteville NOW. See event announcement at “Young Feminist Salon – Fayetteville NOW – 7/1/17.” Pictures to be posted soon. If you are in Fayetteville, you really need to get connected to Fayetteville NOW president Sharon Johnson. Note: More of these are sent in weekly emails than listed on the NC NOW website. Emails are sent to members and to people who register as ‘volunteers‘. Includes weekly ‘Tuesday With Tillis’ protests in Raleigh, writing Tillis and Burr, and more. Fayetteville NOW, continuing its efforts to improve race relations through constructive dialogue, sponsored a showing of the documentary, 13th, on Monday, June 19, 2017. Outstanding turnout at an event with many co-sponsors. Great turnout at the “I Love The ERA” Cookie Drop on Jun 7, 2017, at the NC Legislative Building. There were over 35 people there – mostly women of all ages, but also some young men. One of the ERA-NC Alliance board members celebrated her birthday at the cookie drop with her daughter, female and male grandchildren, and friends! 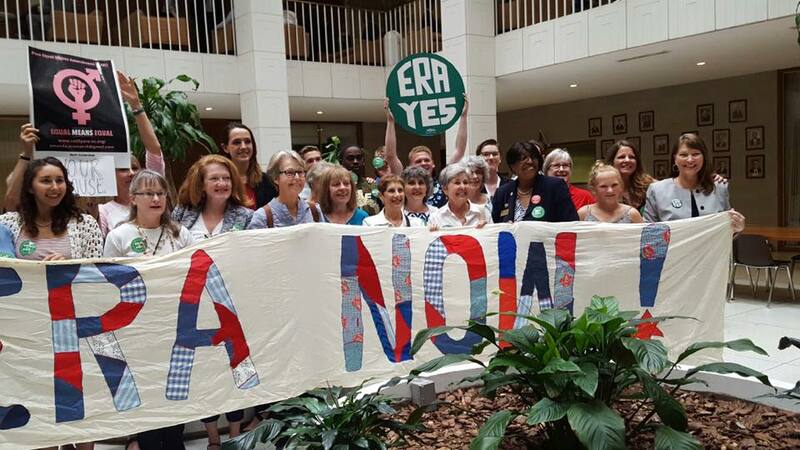 ERA-NC Alliance is an alliance of many women’s groups and individuals who recognize the need for ERA. See “I Love The ERA” Cookie Drop Summary and Pix. Charlotte has become a hotbed of activity! More on May and June events with Charlotte NOW here. Organized by Veteran Feminists of America (VFA). “Historians and Feminists: An Intergenerational Conversation” will begin at 9:30 am with a keynote address by Dr. Nancy MacLean. That will be followed by three panel discussions between Second Wave activists and young historians who are studying the women’s movement. Place: Hilton Durham Hotel near Duke University in Durham, North Carolina. NC NOW is working together with League of Women Voters of Wake County, the ACLU-NC and Paula Wolf on a second presentation of Advocacy 101 training. Learn or review some basic skills for the Citizen Advocate with us on Tuesday, March 28, at the NCAE building in Raleigh. The “Do Your Job” theme must reinforced at all levels of elected officials, especially Legislators (NC House and Senate), and Congress (US House and Senate). To get tickets go directly to eventbrite. The Charlotte NOW chapter convened on July 5, 1972 and Cindy Thomson was there. Thomson is presenting with another woman who was there when Charlotte NOW began. Thomson has stayed active with NOW all these years. In February 2017, Charlotte NOW had a presentation on Elizabeth Cady Stanton and Susan B. Anthony, who were part of the First Feminist Wave. At this event, Charlotte NOW will talk about the Second Wave that began in the mid 1960’s. Maybe you have a story to share. And if you are part of the Third Wave, beginning in the 1990’s, they’d love to hear from you, too. In addition to our program, we will elect officers. If you are a member and wish to be more involved, e-mail cltnow at yahoo.com or join online here. Screening of Equal Means Equal Documentary followed by facilitated discussion. Refreshments provided. Time: 2pm-5pm. More information on flyer, below. 2017 includes another long legislative session at the NC General Assembly (NCGA), which means NC Women United and partners will be hosting Women’s Advocacy Day. Women from all over NC are welcome to join NC Women United in Raleigh to talk to their representatives in the NC House and Senate. Will include a training on how to talk to them! Join us whether you are an expert advocate or a novice, so that you may speak with your legislators about the issues that matter to you. Place: Begin at North Carolina Museum of Natural Sciences Auditorium (across from the NCGA). Continue at Legislative Building, 16 W. Jones St, Press Conference Room. Press conference at Legislative Building at 1:30pm. ERA bills are being filed in the NC House and Senate. Join us for the press conference! Standing to resist the REPEAL of health care and the ROLL BACK of civil rights protections. Time: 9am to 1pm, 10am step-off. Rally: Fayetteville St, ending at Morgan St, with State Capitol in the background. A rally in Raleigh in support of immigrants. We helped with volunteer training, and volunteering. Pulled in by Women’s March On Raleigh friends. On Saturday, January 21, 2017, there are women’s marches across not just our nation, BUT THE WORLD!! There are 5 women’s marches around North Carolina – one in Wilmington just popped up in my facebook this week!! NC NOW has been involved with the Women’s March on Raleigh (WMOR) since the first larger meeting on Dec 13, when there were at least 50 women at the meeting, many individuals not representing organizations. The WMOR event was truly created by a multiracial, multi-religious, and multi-generational grassroots group of women. 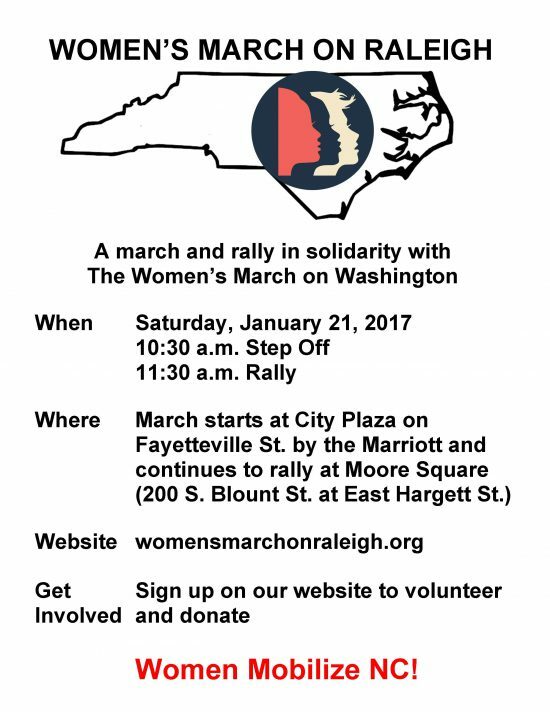 See our press release at Women’s March On Raleigh: Women Mobilize NC on 1/21/17 – Press Release. See the WMOR webpage here. We also have a facebook page, facebook event, and twitter handle. The list is at WMOR: Spread the Word! Our flyers, postcards and buttons were created and printed in Spanish and in English. Here is the English version. Gather at 10:00 a.m. at City Plaza. Here is one about those going to the Women’s March in Washington, at “Part rally, part protest: Women from the Triangle head to March on Washington.” Asheville NOW and Charlotte NOW organized busses from their cities to the Women’s March On Washington. They mostly did that before marches were organized in their cities. Full size conference flyer with keynote speaker at “Women Making History NOW“. Story of the conference at Pictures tell the story of the Women Making History NOW Conference. Fayetteville NOW members and Quaker House are celebrating Women’s Equality Day on August 27, 2016. See flyer for location and contact information. Please join us on Equal Pay Day, Tuesday, April 12, 2016 for the kick-off event of an alliance of women’s organizations in NC working to get the Equal Rights Amendment (ERA) passed. Our press conference, panel discussion and reception will be held at Wake Forest University in Winston-Salem. Our panel discussion is at 3:30pm on the topic of “Why the ERA? Why now?” The panel will be followed by a reception, and signed copies of Jessica Neuwirth’s book, “Equal Means Equal: Why the Time for the Equal Rights Amendment Is Now” will be available. NC NOW and chapters hosted feminist legend Ellie Smeal (Ms. Magazine and Feminist Majority), and NOW president Terry O’Neill in North Carolina to kick off the She Wins, We Win campaign! As part of this campaign, Ellie and Terry traveled to Charlotte and Greensboro to visit college campuses, joined by local chapter presidents. The next day we held a press conference, and rally at the NC Legislature. Fayetteville NOW and Quaker House in Fayetteville host another round of “Cracking The Code.” The series will run from April-June, 2016. You can attend individual nights. Find the event on facebook at Inspiration for Roe Facebook Event. 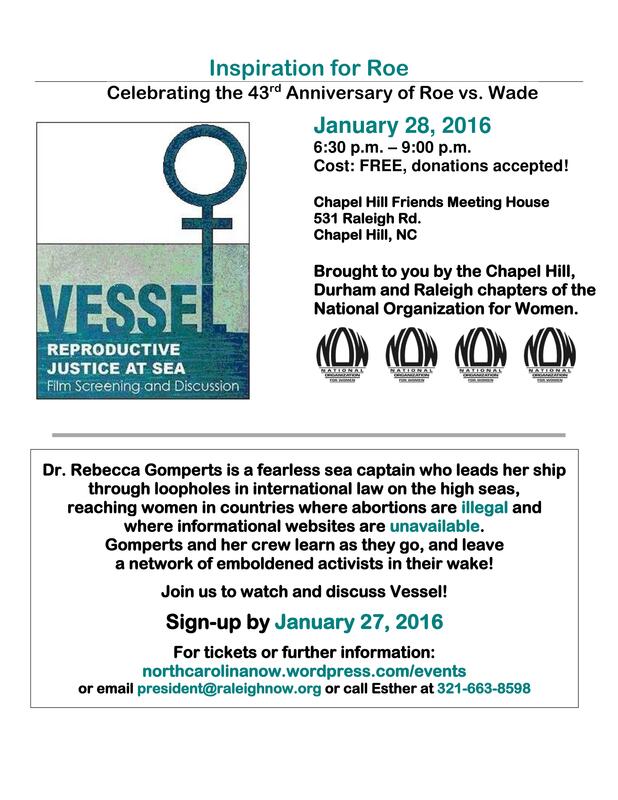 you can print and share Vessel Roe Event Flier. please fill out this Roe Event Bulletin Form and mail by January 25, 2016.
and mail by January 25, 2016. Fun voting event at an early voting site in Charlotte on Halloween 2014! Parents vote but both children and parents can enjoy the activities. 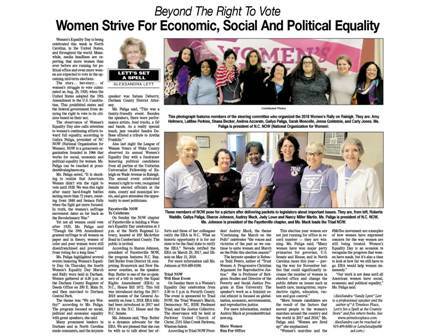 Sponsored by Women Voting Our Values, National Organization for Women, Charlotte Chapter, AFL-CIO NC, and Action NC! NC NOW president, Gailya Paliga, at 919-539-7702. Demand Justice for Women NOW! Our theme this year is “Demand Justice for Women NOW!” Rep. Pricey Harrison is our keynote speaker. Rep. Harrison’s commitment to women and families and the right to choose, her experience in the NC General Assembly, as well as her law and activist background, go perfectly with our conference theme of exploring what changes the state made and how to get justice for women. 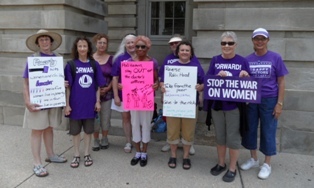 before the Moral Monday on 6/24/13. Our theme this year is “Demand Justice for Women NOW!” Rep. Pricey Harrison is our keynote speaker. Rep. Harrison’s commitment to women and families and the right to choose, her experience in the NC General Assembly, as well as her law and activist background, make her an excellent speaker. exploring what changes the state made and how to get justice for women. Attendees will enjoy the opportunity to connect with other women and men from chapter across the state. The day will include presentations on the ERA (which we need more and more in the face of laws that target women) and Immigration, given by chapter leaders and activist. The panel includes experts who will discuss issues surrounding legislative developments impacting Health Care, Seniors, Economic Security and Education. Please join other feminists at our annual NC NOW state conference at the Chapel Hill Friends Meeting Building at 531 Raleigh Road in Chapel Hill, NC. People interested in joining a NOW Chapter or learning about NOW are encouraged to attend. Refreshments will be provided at registration. Enjoy lunch with an inspiring keynote speaker. Stay with us and join our ACTION on immigration immediately following the conference! https://northcarolinanow.wordpress.com/2014/08/29/nc-now-fall-newslettercall-to-conference/ The cost is sliding scale for members, $35 for non-members. There is a special student rate of $10. You can join and attend for $40 (another special). The fair aims to: 1) Inform the community on causes related to social and economic justice for the 99%, and to engage new members. 2) Unite a diverse range of community groups and organizations in one outreach and education event, and to strengthen alliances among 99% groups. Groups that have confirmed participation as of 5/21/2012: NC AFL-CIO, The Green Party, Progress NC, NC Justice Center, Democracy NC, The Raleigh Action Collective (TRAC), Occupy Raleigh Outreach, Raleigh-Wake Move On Council, Croatan Earth First, and Interplay. We will discuss the events from May – tabling at OutRaleigh, the SE Regional NOW Conference, the Pots and Pans rally across from the Legislative Building (awesome fun! ), the Enough Rush campaign, etc, and decide what we want to do next. Please join us! Contact president@raleighnow.org for more information. Although women make up more than half the population, often our voices are not heard or taken for granted when important decisions are being made that affect us and our families. There has been an unprecedented assault on women and issues that most directly affect the quality of our lives. To combat this trend, the leadership of the North Carolina chapters of Delta Sigma Theta, Sigma Gamma Rho, Zeta Phi Beta and The Links, Inc. have joined forces to co-sponsor a historical advocacy in action event – The Gathering: Women at the General Assembly. This extraordinary event will focus on creating ongoing legislative solutions for the communities of North Carolina. We build upon the legacy of advocacy and political activism these organizations continue to pursue. Issues to be discussed include but are not limited to education, healthcare, voter education, women’s issues, economic development, employment, and budget cuts. This is reported to be an abbreviated short session so timely advocacy with our elected officials will be critical. On June 6, 2012, we will descend on the capital in record numbers to make our voices heard. Registration for this event is $40.00 and is due on or before May 4, 2012. This fee includes continental breakfast, box lunch and program materials. Events will take place on the Halifax Mall and other areas around the Legislative Complex and will include networking opportunities, issues briefing, visits to legislators, and attendance at legislative meetings. Parking is available in visitor lots off Salisbury Street and Jones Street (See attached map) registration and continental breakfast will begin at 8:00 am. This promises to be an exciting and powerful event. Please spread the word and encourage as many women as possible to join us. There is power in numbers and the women of North Carolina need to put advocacy into action. Please return the enclosed registration form no later than May 4, 2012. The form can be filled in using a computer and printed for mailing. For more information and to purchase tickets visit www.pphs.org/events or www.pphs.org/cart.